Scipio SA was established as a trading company to specialise in the physical movement of soft commodities (grains, sugar, rice and soya) within sub-saharan Africa. The company’s senior trader is Mark Daniels, who previously worked as a sugar trader for Marc Rich UK Ltd. / Glencore UK Ltd. In August 1998, Mark Daniels moved to Glencore Grain where he worked from Johannesburg, South Africa until founding Mark Daniels Ltd. in January 2000. 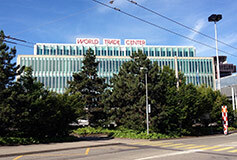 In 2010 Mark Daniels Limited moved the business to Geneva, Switzerland and opened Scipio S.A. The Company is a Category A member of the Grain and Feed Trade Association (GAFTA). In Sub-Saharan Africa, food security is the biggest humanitarian and political challenge. To this we have concentrated on the most basic of foodstuffs, white maize, rice and sugar. We have also supplied the World Food Programme delivering white maize to the Cameroon and Madagascar. Over and above this the balance sales have all been to the milling companies that operate in the region. Maize: US, Argentina, South Africa, India, Malawi and Zambia. Rice: Pakistan, India, Vietnam and Thailand. Sugar: South Africa, Swaziland, EU, Zambia, Brazil, Thailand, Malaysia and India. Contact us about a trade enquiry.